Before Mexico’s Pacific Coast residents boarded up their homes and bought supplies to brace the inevitable arrival of Hurricane Patricia, a Category 5 “monster storm,” there was calm. After Joaquín “El Chapo” Guzmán, the infamous leader of the Sinaloa drug cartel, shook “the system” and escaped from a Mexican federal prison, there was controversy, but then there was calm. Even after scraping off the nasty residue of entitlement leftover from Donald Trump’s recent fooleries and broadcast opinions of Mexico, there was calm. Partnered with its controversy, and semi-elusive grandeur Mexico, bears a lot of things, and luxury is certainly one of them. 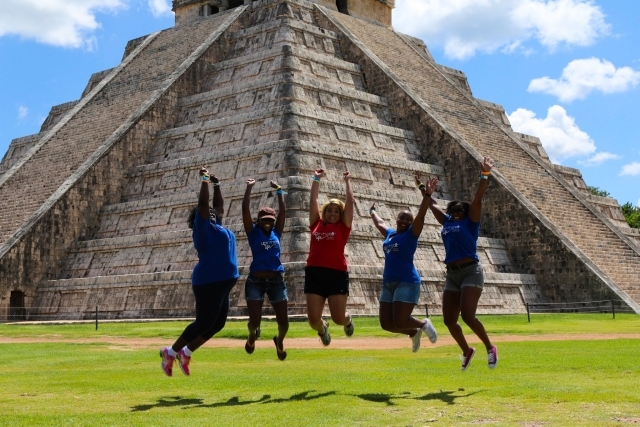 Both ethnically and geographically, from the fiestas and festivals to the royally furnished resorts, travelers who are foreign to Mexico, are bound to experience a social adventure. This has always been the goal of Up in the Air Life founder Claire Soares. 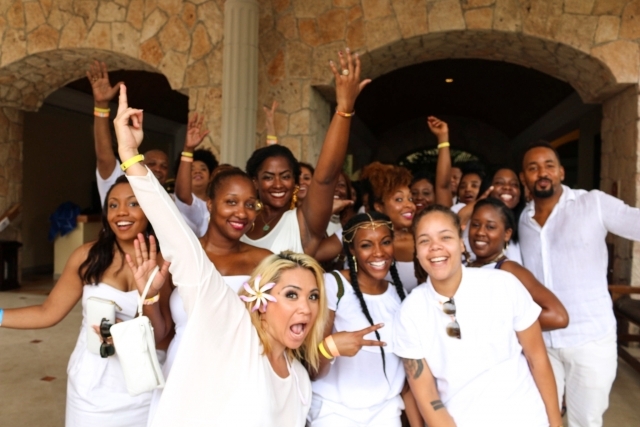 The “upscale travel company boasts organized international jaunts for African-American vacationers to exotic locales like Cuba, Mexico, Colombia, Greece, Croatia and Thailand. Soares has affectionately dubbed her passionate UITAL travelers1 “Lifers”. Thai time next year, in November of 2016 another diverse group of “Lifers”, will embark on a journey to Egypt, Africa. Last year, Soares targeted Mexico for the travel group’s meet-up, which was kicked off with a night life stroll around the city of Playa del Carmen. RollingOut had a chance to catch up with the woman behind it all. Conveniently paired with the annual Mi Casa Es Su Casa Holidayevent, a week-long house music festival consisting of mega concerts, incredible food and beach and pool parties at all hours of the day and night. Speaking of wells, one of the most profound activities of the UITAL Mexico meet-up included a visit to the Yucatan Cenote, a spiritual and social stable of Mexico’s land and heritage. The well/swimming hole, is located along the edges of Yucatan’s thick forest growths and mangrove swamp, just north of Playa del Carmen in the Riviera Maya. Mayans used the cenote as a place to swim, pray and connect with the gods. With its approximately hundred fifty feet depth, the Yucatan cenote boasts mystical, swimming and worshiping pleasures. With a wave of his hands and charming Spanglish, our tour guide broke down the history of the ancient Mayans (and the Gulf Coast’s darker brown-skinned Mexicans) as we slowly approached the famous tourist attraction. Surrounded by brilliant green foliage, with the sun peaking through all the hanging vines, many trembled with hesitation, and foreign expectations but some took the unexpected dive from the safest rock tip of nature’s diving board. Soares, who’s been coordinating trips from yachting trips to international wanderlust, and gathering people from all walks of life since high school, coordinated an all-white evening of champagne and music on a yacht which voyaged to a VIP dinner and dancing on the beach. UITAL was originally developed from Soares blog Up In The Air Claire. From this blog, she birthed Up In the Air Life, and it continues to blossom, nurtured by like-minded wanderlust professionals of color. For more info and future travel plans check out http://www.upintheairlife.com. Share your travel story by heading over to our Contribute page. Discover more at Rolling Out.